Stir first 6 ingredients until blended in large bowl. Pour into quart size casserole dish. Add 1/2 cup of each cheese on top. 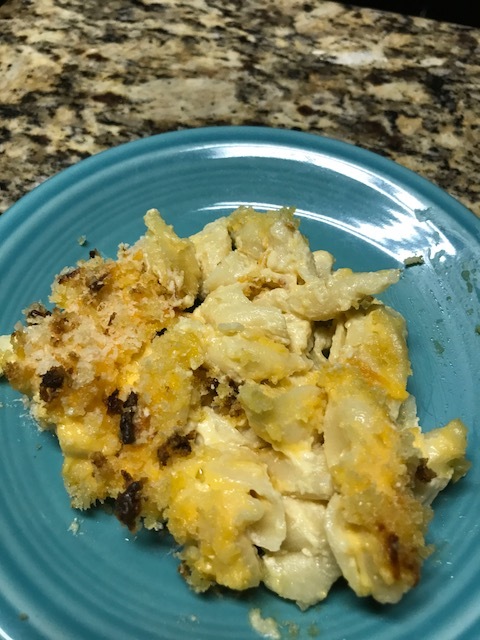 Top with panko crumbs (cover casserole completely) and melted butter. This is a drier mac- you could add more milk or cheese if you want the creamier version.